After logging in, click the settings “wheel” besides your name, and choose Options. 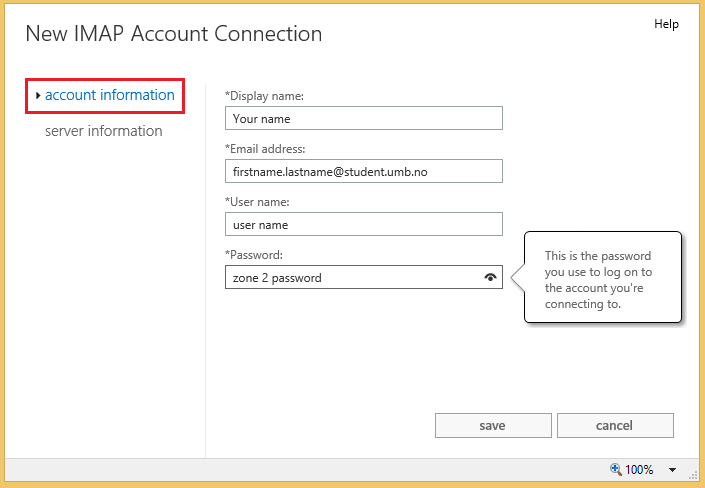 Then follow the steps like in the picture below: Account -> connected accounts -> + -> Fill in your UMB mail and zone 2 password, then next. 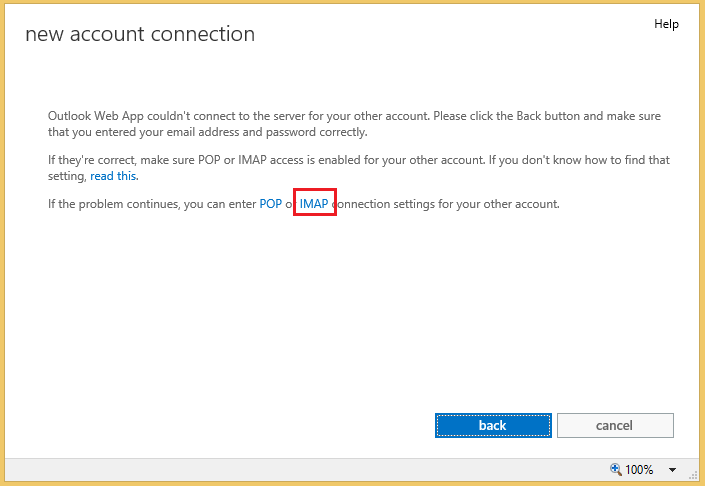 A wild error message will appear, then choose IMAP to continue. 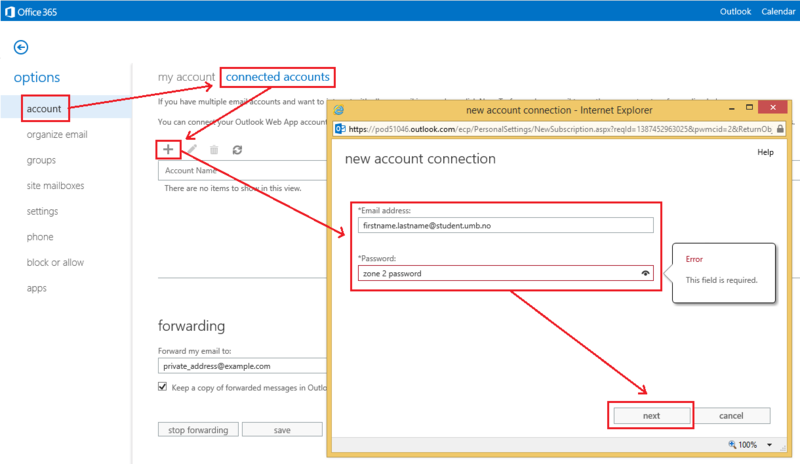 Under account information fill in the information on your UMB mail, Display name can you decide yourself. When everything is entered as in the picture below, hit the server information tab. 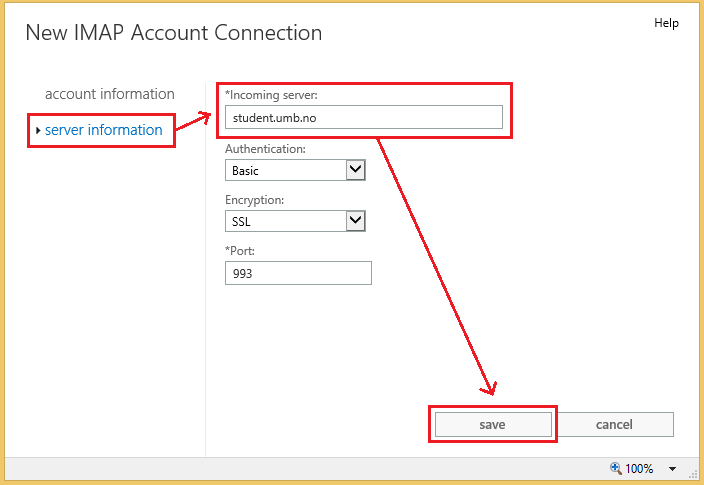 In server information type student.umb.no in Incoming server. The other should stay like in the picture below, then click save. 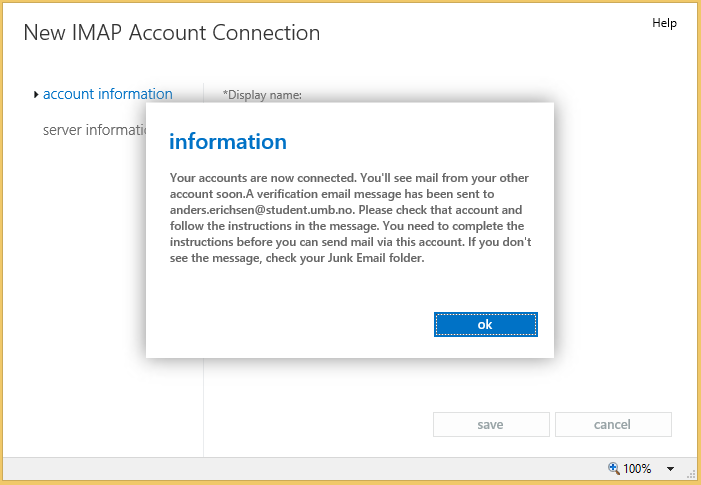 Your UMB mail should then be merged with you new NMBU account, and will start to import files. You can see all connected accounts under connected accounts. This entry was posted in Archive and tagged E-mail on December 19, 2013 by Anders-Budde erichsen.